The recent catastrophic wildfires including the historically large megafire that devastated southern California (Thomas Fire, Sonoma Fire, etc.) in and around the wildland urban interface (WUI) and forests today are initially and substantially fueled by the now excessive annual grasses and brush. According to Science Magazine: “By altering the quantity and distribution of fuel supplies, large herbivores can shape the frequency, intensity, and spatial distribution of fires across a landscape. There are even unique interactions among large herbivore populations that can influence fire regimes. For example, facilitative interactions between white rhinoceros and mesoherbivores result in reduced fuel loads and fuel continuity, and consequently fewer large, intense fires. Other factors can influence the frequency and intensity of fires, particularly in locations where the total area burned is strongly related to ungulate population size. The problem today is simple; the ecosystem is out of balance. For instance; on average, a single deer will consume about 7-pounds of grasses and brush daily. Considering the deer population depletion in California of about 2 million deer (net loss) over the past few decades, the loss in ground fuel abatement (grasses and brush) in and around forests amounts to roughly 18-million pounds of fuel per day. On an annual basis this amounts to roughly 2.5-million tons of grass and brush that is no longer being abated by natural means, just in California alone. Of course, some people who benefit financially or politically from the livestock industry believe that livestock are the answer to all of mankind's and nature's ills. And of course, this same wrong-headed thinking suggests that livestock can generally be used for grazing these excess ground fuels. Of course, that kind of reckless ideological thinking is what has brought us to the brink of destruction by catastrophic wildfire and trending deforestation through policies posited by obtuse thinkers on the other-end of the spectrum; the 'let it burn' environmentalists. Neither extreme has is right, and the appropriate solution is available but has been intentionally dismissed or overlooked because of the typical downfalls of man: greed, ego and ideologies. "One article I came across troubled me slightly. I can't recall who it was written by but it stated that wild horses changed the fire regime of the area by consuming the natural grasses and allowing the invasive species to become dominate and increase fire spread rates (more I think for the area they were referring to). Do you know of any studies done on this if so can you refer them to me." I immediately recognized the foregoing propaganda (wild horses adversely affecting wildfire regime) as one of many canards that have been spun by some folks in and around the livestock-industry along with some intellectually dishonest researchers. In reality, the opposite is true; livestock grazing adversely affects and depletes native pastures and worsens the fire regime. First, let's get the number one livestock industry canard dispelled. The truth is that American wild horses are without any doubt a native species. And the best science tells us that here. Invasive species grazing by cattle, sheep and goats, all of which are not North American species, adversely affects wildfire regimes on native pastures, especially in and around wilderness and fragile forest areas. North American ecosystems have evolved over the millennia with native species flora and fauna including the native species wild horses, and have done so in the face of millennia of normal wildfire cycles. The catastrophic wildfires that have evolved of recent are not part of any normal fire-cycle. They are in fact man-caused disasters stemming from the mismanagement of wildlife, especially the mismanagement of apex predators. These fires are deforesting America at an alarming rate and are so hot they kill genetic lines of fire-resistant conifers that have survived millennia of wildfires, and which require normal fire-cycles for their seed dispersal. Instead, these conifers that were considered by experts to be fire-resistant are being incinerated by abnormally hot wildfires. According to the USFS: "Infestations west of the Rocky Mountains are most severe in California, Washington, Oregon, and Idaho [20,38]. Infestations in California cover more area than those in all other states combined ." In fact, the same cite states that as of 18-years ago (ca. 2000), the infestation of yellow starthistle was endemic to 17-million acres in California alone. I can only imagine how much greater that area might be today, and it presents as an invasive infestation in and around forested areas. Imagine for the moment a native pasture full of ripe yellow starthistle (Centaurea solstitialisL.) nearing seed stage /w-spikes and native grasses/plants beginning to seed. And then, cattle (another invasive species) come through and graze this area of mixed yellow starthistle and other native plants. The cows of course avoid the yellow starthistle (due to spikes) and instead consume the other fruited grasses and plants. This leaves all of the yellow starthistle seed in-place and unaffected by the grazing. 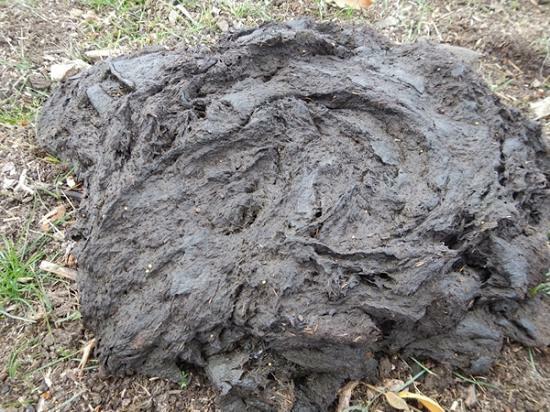 As a result of the cow's complex (very complete) digestive system, few grass and plant seeds are redeposited back onto the pasture in their manure. This results in a severe limitation of reseeding by the native grasses and plants of that area, and presents as a huge advantage to the yellow starthistle as it can then reseed the area with a huge numeric advantage since the seeds from native grasses and plants have been largely digested by the cattle. However, on the other-hand, when native species wild horses graze that same area, they are incomplete in their digestion and thus they pass most seeds they consume back onto the pasture intact in their droppings, which can then germinate in soil conditions enhanced by the horse droppings which become a seed bed of sorts. 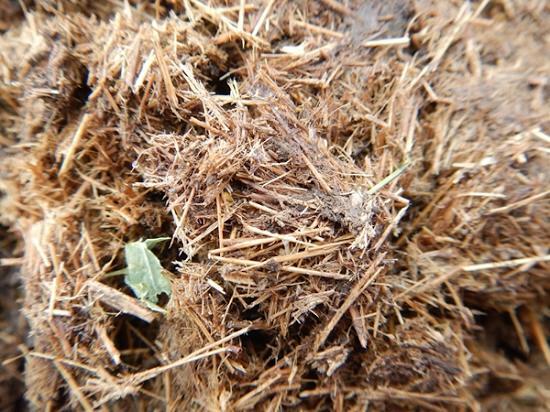 This allows the grasses and plants to remain established in enhanced conditions and compete more effectively with the invasive species of yellow starthistle. This naturally evolved mutualism between wild horses and plants offers the native seeds, thus distributed, an advantage due to the high-level of hummus and nutrients in the horse droppings aggregated with the native plant seeds. This unique mutualism between native north American plants and wild horses is of great value in rebuilding soils that have been devastated by catastrophic wildfire through abnormally extreme heat caused by excess ground fuels. Of all the large native herbivores that currently roam the American range-lands, native species American horses are the only large grazing herbivores that have a single-stomach simple digestive system. And, as we have learned, this is very important. This is in stark contrast to herbivores that are ruminants (such as cows), which have very effective digestion as a function of complex stomachs capable of fermentation, which breaks-down and digests a greater percentage of grass and plant seeds. Clearly, the relationship between the ecosystems of North America and native wild horses is one that is mutually beneficial and is a true mutualism resulting from co-evolution over many millennia. The wild horses are nourished by the native plants, that in-turn benefit from the spread of their viable seeds mixed with manure rich in nutrients, beneficial microorganisms and humus, back onto the soils and distributed over relatively large areas. There is no better way to rebuild fire-damaged soils in remote wilderness and fragile forest areas. In addition to giving many native plants a reseeding and nutrient advantage, the year-round grazing by native species wild horses picks-up the slack from depleted deer herds in abating excessive ground fuels that are now fueling the disastrous catastrophic wild fires. Cattle, sheep, and goats do have potential applications in certain areas with careful management. Cattle and sheep can be used effectively in and around areas that are not proximate to wilderness areas and fragile forest ecosystems where native plants must not be stripped from the land along with all their seeds. Cattle and sheep can be used in areas that can by managed using mechanized means for annual soil conditioning and reseeding. Goats are a reasonable choice for urban areas in and around home sites where a smaller grazing animal makes sense. William Simpson is the author of Dark Stallions – Legend of the Centaurians, proceeds from which go towards supporting wild and domestic horse rescue and sanctuary. Capt. William E. Simpson II is a U.S. Merchant Marine Officer with decades of boating and expedition sailing experience, having logged more than 150,000 miles at sea. Simpson has successfully survived long-term ‘off the grid’ at sea and at remote uninhabited desert islands with his family for years at a time. He holds a U.S.C.G. 500-ton captain’s license for commercial-inspected passenger vessels and he is also a commercial airplane and helicopter pilot. Simpson spent his formative years growing up on the family’s working ranch in the mountains of Southern Oregon, where horses were an integral part of the daily life. William left the family ranch to attend college, which turned out to be a stepping stone into a bizarre lifestyle that led him around the world on an entrepreneurial quest. An adventurer at heart, Simpson and his best friend and wife Laura, spent many years at sea during two sailing expeditions (1991-1994 and 2008-2011) where they experienced some of the many wonders and mysteries of nature. 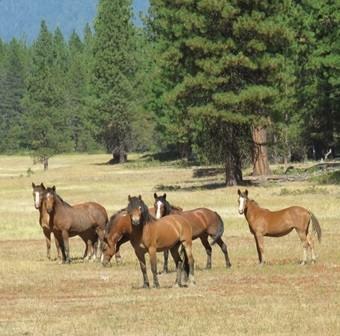 Since retiring, Bill and Laura have changed lifestyles and are once again engaged in a new adventure; living an off-grid lifestyle in the remote wilderness of the Siskiyou Mountains, where they enjoy coexisting with herds of wild horses, along with a myriad of other wild animals. The staggering beauty of the local mountains and valleys is awe inspiring and has influenced Bill to frequently write on subjects related to wild horses as well as wild and domestic horse advocacy, rescue and sanctuary. The opinions expressed on MyOutdoorBuddy are those of the author and do not represent the opinion of MyOutdoorBuddy or that of the author's employer unless otherwise stated. This close-up of a wild horse dropping clearly shows that the diet of a wild horse is diverse and contains diverse materials (stems) from plants and brush. 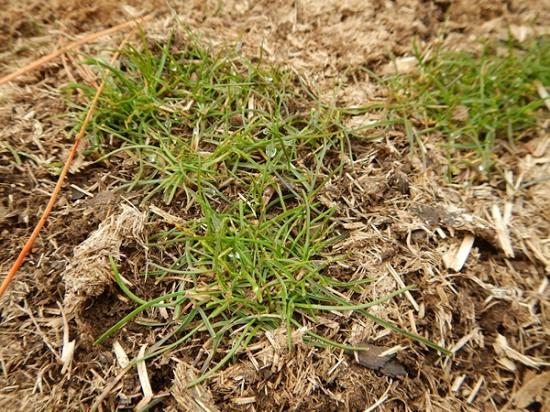 Grass emerging from wild horse droppings in late December benefit from humus and nutrients in the droppings. 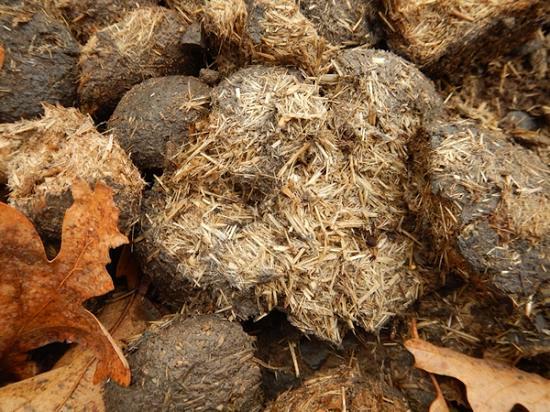 Wild horse droppings contain undigested vegetative materials (humus) and native seeds. 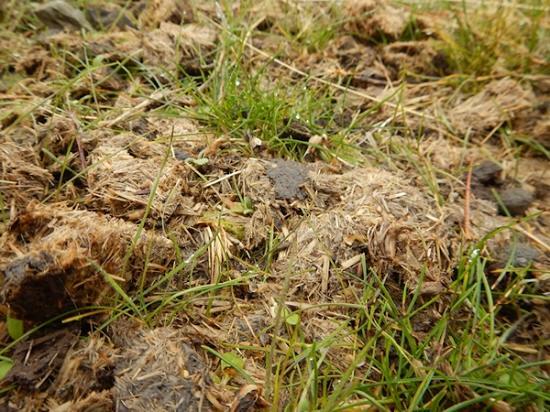 Wild horse droppings contain embedded native seeds, humus, microorganisms and nutrients that rebuild fire damaged soils.